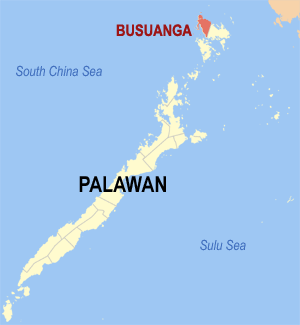 The last leg of Super Typhoon Yolanda’s (Haiyan’s) destructive journey was in Busuanga, Palawan. There, the typhoon made its 6th and last landfall Friday night (November 8) before it left the country in the afternoon of Saturday, November 9. At least 90 percent of the houses and hotels in a major tourism destination in Palawan were either damaged or destroyed during the onslaught of super typhoon Yolanda, according to Coron Mayor Clara Reyes. At least 11,000 people were affected by the typhoon in Coron, one of the two municipalities in the island of Busuanga. She said most residents were reluctant to evacuate because typhoon rarely pass through the island municipality. “Nahirapan kami kumbinsihin sila na lumikas dahil ito ang unang bagyo na dumating sa amin in 100 years. Tinatanong ko nga ‘yung mga matatanda, hindi pa daw sila nakakaranas ng ganoong bagyo. (It was hard for us to convince them to evacuate because it was the first typhoon that hit our municipality in 100 years. I asked the elders, they have not experience that kind of typhoon),” Reyes said. Before exiting the Philippines Area of Responsibility (PAR), Yolanda made its sixth and final landfall at around 20:00 on November 8 in the far-western province of Palawan. The municipality of Busuanga, Palawan, serves as the gateway for tourists to reach the popular town of Coron, and neighboring island municipalities. It was there that some 688 households from its nine barangays were affected typhoon Yolanda, while in island barangays , at least 260 families were also affected. 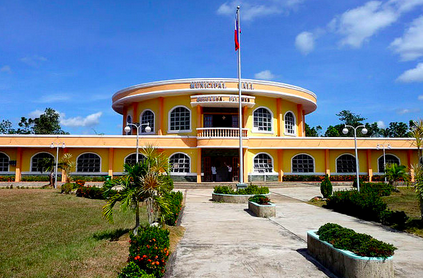 Both the local municipal hall and civic center sustained significant damage, with roofs, ceilings and electrical wiring in need of extensive repair. Yolanda’s last landfall in Northern Palawan badly affected the tourism industry, especially vital services including hotels, cottages and pump boats. 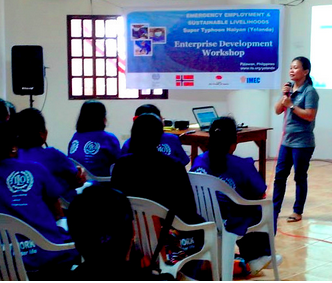 With support from a range of national government agencies and international organizations, recovery in Busuanga continues.